Nakagawa Shouko - "Pokemon Taught Me the Meaning of Life"
Dogasu's Backpack | Features | Nakagawa Shouko "Pokemon Taught Me the Meaning of Life"
On July 18th, 2013, Nakagawa Shouko released an autobiographical account of her life that focused on the Pocket Monsters franchise and how it shaped her growing up. The title of the book is Nakagawa Shouko "Pokemon Taught Me the Meaning of Life" (中川翔子ポケモンが生きる意味を教えてくれた). This page will look at this Japanese language book and provide an overview of what's inside. I'll pick out key stories from each chapter and mine the autobiography for any behind-the-scenes information worth reporting. So who is this Nakagawa Shouko, anyway? It's hard to think of anyone who follows the Japanese side of this franchise not knowing who Nakagawa Shouko. She's kind of been everywhere the last half a decade or so. Nakagawa Shouko (中川翔子), like most Japanese celebrities, is famous for a variety of things; being an actress, singing, doing voiceover work, etc. She started a blog in 2003 that has become so popular that she has been called "The New Queen of Blogs." She is also extremely well-known in Japan as being a giant otaku. She is noted as being a fan of the Super Sentai series (released in the U.S. as "Power Rangers"), Bruce Lee, Jackie Chan, Dragon Ball, and, of course, Pocket Monsters. 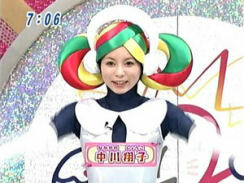 She is often referred to by her nickname Shokotan (しょこたん). Ms. Nakagawa made her entertainment debut in 2001. She joined the team of Pokemon Sunday, the variety show that aired during the Pocket Monsters Diamond & Pearl days (and has since been replaced by Pokemon Smash! ), in 2006. Ever since then she's been appearing on the program every week, reporting on the franchise, participating in battle tournaments, and generally geeking out about all things Pokemon. She has also performed a number of songs for the series. 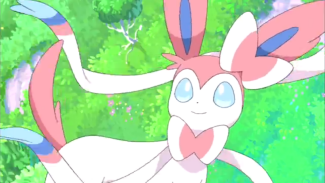 She did Strawberry Melody as one of the opening themes to Pokemon Sunday; Get Fired Up, Spiky-Eared Pichu, the fourth ending theme to Pocket Monsters Diamond & Pearl; and Antenna of the Heart, the ending theme to the movie Arceus and the Conquering of Time and Space. Fans in the West who kept up with the Japanese version don't really seem to like her, and I think a lot of it had to do with her role as the Spiky-Eared Pichu. 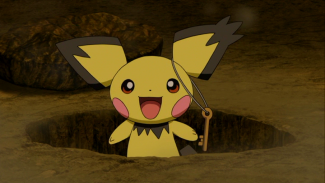 People got upset when the "new" pokemon that was going to debut in HeartGold and SoulSilver ended up being something as lame as a Pichu with a weird ear and became even more aggravated when they saw it get shoved down our throats throughout the summer of 2009. The intrusive "find Pichu" game that was inserted in the TV episodes that were airing at the time, the song Get Fired Up, Spiky-Eared Pichu, an annoying chiptune piece of "music" that had some of the most eye-rollingly bad lyrics in the franchise...people were sick of her by the time Fall 2009 came around. Me included. I think I started to come around to Ms. Nakagawa when I saw her performance in Kyurem vs. 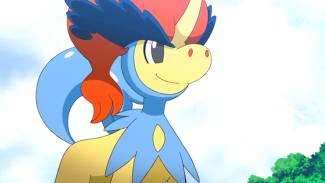 The Sacred Swordsman Keldeo. I went into the movie with really low expectations but walked out of the theater surprised at how she wasn't awful. On the contrary - I thought she was actually quite good! Unfortunately, a lot of the English-speaking fandom never bothered to watch the Japanese version since the English dub was released before the Japanese DVD / Blu-ray came out and therefore don't know that yes, she actually can act. I urge those of you who don't like Nakagawa Shouko to read this overview of her book and see if you still feel the same way after hearing some of the stories she has to tell. I already sort of liked her before but the stories in this autobiography made me like her even more. Maybe they'll do the same for you. Nakagawa Shouko "Pokemon Taught Me the Meaning of Life"
Video game blog Kotaku has already done two nice write-ups on the book (you can read them here and here), so I urge you to take a look at that if you haven't already. The book is written in chronological order, more or less. Each chapter highlights a year in Ms. Nakagawa's life, from 1996, when she was a young elementary school girl saving up money to buy a copy of Pocket Monsters Green, all the way up to 2013, when she got cast as Nymphia in the most recent Pikachu short. She skips some years here and there, but for the most part she has a Pokemon-related story to tell for every milestone in her life. If you read the Kotaku articles I linked to earlier (and please do because I'm not going to bother covering the material they already went over), you'll see that there are a lot of touching stories in here. A commenter on a random message board I came across stated that he thought Ms. Nakagawa was only pretending to like Pocket Monsters as much as she does because of her job, but after reading this book he was convinced that no, she really is as big of a fan as she appears. And I kind of feel the same way. 1996 - Here she tells the story about saving up for, and eventually buying, Pocket Monsters Green. A footnote on page 25 reveals that franchise creator Tajiri Satoshi once told Ms. Nakagawa that the idea of Fushigidane came from the caterpillar fungus (冬虫夏草). She also talks about loving the music in the original Pocket Monsters Green game, particularly the melody that plays in the Tokiwa Forest. She recalls just sitting there with her earphones in one day, refusing to leave the forest because she wanted to continue listening to the music (p26). On that same page, she talks about not having any friends to trade pokemon with and was therefore unable to evolve her Ghost into a Gängar. I know, I know, first world problems and all that, but it's still a cute story. 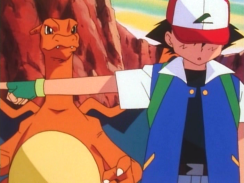 There's also a vague footnote about the staff of the animated series going to the Galapagos Islands to gather material for the show, but no specifics are given. And while the book is filled with touching stories here and there, this first chapter does have one that doesn't really sit well with me. Her mom, who was raising her as a single parent after Mr. Nakagawa passed away, was somehow able to afford to take Shouko with her to Walt Disney World in Orlando, FL. From Japan. The two travel to the other side of the planet and are at this world famous theme park...and Shouko spends the majority of the vacation with her face buried in her Game Boy. Her mom asks her to put it down and to look at the scenery around her, but Shouko simply replies "I am looking at the scenery...in Pokemon" (p29 - 30). This is presented as this sort of "aren't I the cutest?" story, but I promise you that if the same thing happened with me then my Game Boy would have been confiscated, if not worse. 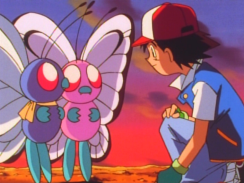 1997 - The animated series Pocket Monsters began airing in 1997, so Shouko was really excited about being able to watch the pokemon she loved so much on TV. She explains that, according to series director Yuyama Kunihiko, one of the reasons Pikachu was chosen as the series' mascot was because it was believed to be a pokemon that could appeal to both boys and girls (p35). She goes through her top five favorite episodes of the series (more on that later) and said that the episode "Nyasu's A E I O U" made her want to study English more (p42). 1998 - The first movie, Myuutwo Strikes Back, comes out the same year Nakagawa Shouko enters junior high school. She talks about how incredibly depressed she was during this time and how seeing Myuutwo struggle with the same problems she was going through - "Who am I?" "Why am I here?" - really helped her feel better about herself. She also talks about getting into some of her other fandoms around this time and about the time she was even able to meet her idol Jackie Chan (p55). As the years go on, the third generation of games come out, and Nakagawa Shouko talks about buying two Game Boy Advance systems and trading pokemon with herself between her Sapphire and Emerald games (p56). In 2003 she started the blog that would help her achieve Internet fame (p57). 2004 - The Red & Green remakes, FireRed & LeafGreen, are released in Japan. 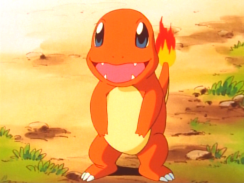 Nakagawa picks up LeafGreen and enjoys the game's updated graphics and battle system. She chooses Zenigame as her starter again because of her love of turtles (p61). She also captures Myuutwo, adding that she feels compelled to add -sama to its name every time she talks about it (p61). 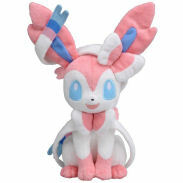 Finally, she tells us how some of the pokemon she uses in Pokemon Smash! even now are pokemon she caught way back in the LeafGreen days (p60). 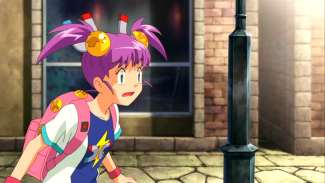 2006 - Nakagawa Shouko joins the cast of Pokemon Sunday and is amazed at how everyone there seems to love Pocket Monsters just as much as she does. They're in the studio about once a month for recording (p84) and says that she looks forward to these days because the people there are like her family. She attributes the wireless capabilities in Diamond & Pearl for allowing her to trade pokemon with her Pokemon Sunday co-stars and says that, as an adult, she was finally able to trade pokemon with other human beings (p84). Additionally she states that, when you factor in the time played on Sapphire & Emerald, she probably put over 1,000 hours into her Generation IV games. Ms. Nakagawa also talks about a battle tournament that was held each year on Pokemon Sunday (and, later, Pokemon Smash). She lost the first time around to Baba Hiroyuki (馬場裕之) of the comedy trio Robert (ロバート), so she spent the six months before the following year's tournament re-studying the basics. She looked into breeding pokemon with the most desirable natures, fought a bunch of Zubat to raise her pokemon's speed, and raised her pokemon to Level 100 so that she could get her revenge (p87-88). Her hard work paid off as she was able to win first place in the next tournament. She goes on to say that, if you really think about it, Pokemon Sunday / Smash are the only TV shows that actually broadcast video game battles. 2007 - In 2007, Nakagawa Shouko was cast as Maki in Pocket Monsters Diamond & Pearl The Movie - Dialga vs. Palkia vs. Darkrai. She was nervous, of course, and recalls that one line in particular - "Donkarasu! Use Defog!" (ドンカラス！きりばらい！) - gave her a lot of trouble and required quite a few retakes (p94). 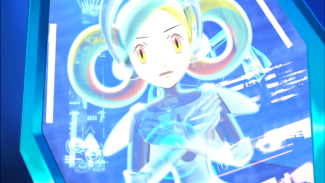 In 2008's Pocket Monsters Diamond & Pearl The Movie - Giratina and the Sky Bouquet, Shami, Ms. Nakagawa was cast as Infi, Zero's artificially intelligent assistant. She was initially worried because Infi had so many more lines than Maki did and said she had trouble following the directors' advice to give a robotic, emotionless performance. She also tells a story about an appearance she did to promote the movie on the kids' variety program Oha Star. She went to the show wearing an Infi costume that was a little bit too tight, and that that combined with a stomach flu she had caught earlier caused her to feel like she was going to throw up in the middle of the live broadcast. She soldiered on, however, and was able to successfully complete the show without incident (p95). 2009 - The end of the Diamond & Pearl trilogy, Arceus - To the Conquering of Time and Space, came out in 2009. 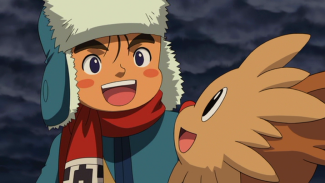 According to Ms. Nakagawa, Miwa Akihiro (美輪明宏) turned down the role of Arceus many, many times but was eventually convinced to accept the role due to director Yuyama Kunihiko's tenacity (p119). Ms. Nakagawa goes on to say that she plays the Spiky-Eared Pichu, a pokemon she says was originally going to be called the "White Pichu" (ホワイトピチュー). The name kind of sounds like howaito shichuu (ホワイトシチュー), or "white stew," so it's possible that the pokemon was changed because of that, though the book never really says one way or the other. The character was eventually changed to Giza-Mimi Pichuu (ギザみみピチュー), or "Spiky-Eared Pichu," something Ms. Nakagawa was happy about because the word giza was one that she had helped popularize on her blog (p120). Later, Pocket Monsters HeartGold & SoulSilver came out. Ms. Nakagawa bought both and said that she was really happy to be able to get her precious Spiky-Eared Pichu but was disappointed that the pokemon couldn't be transferred to any of the later games. In 2010, Nakagawa Shouko was cast in the role of Puruufu (プルーフ), or Proof, in the movie The Illusionary Conqueror, Zorro'ark. She says that director Yuyama Kunihiko named the character "Proof" because the word shouko (証拠), which is an alternate way of writing Ms. Nakagawa's first name, translates into English as "proof" (p123). Ms. Nakagawa also refers to Proof as an adult. 2012 - Nakagawa bought both Pocket Monsters Black and Pocket Monsters White for the Nintendo DS (p129). In 2011's Pocket Monsters Best Wishes! movies, Ms. Nakagawa plays two characters - a little girl named Shade and a little boy named Aude. She says that Aude was the first time she had ever played a little boy but found it remarkably easy to do because her normal speaking voice is naturally quite low. Shade, on the other hand, was more difficult because she kept getting told that she sounded too old and had to be reminded that the character she was playing was a little kid (p130-131). 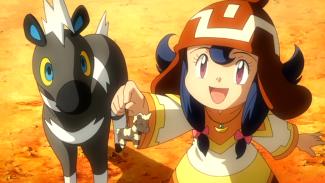 She also explains that her performance as Aude made the producers notice how well-suited she was for little boy roles and that that's what led to her being cast as Keldeo in the next year's movie. She also talks about how the pokemon she's played are, in many ways, like her own children. She says she would like to have kids of her own someday and wondered if she should have a boy or a girl, spending about a page or so debating the merits of both. She later concludes that she already has children, kind of; she thinks of the Spiky-Eared Pichu as her daughter and Keldeo as her son (p134). 2013 - This year, Nakagawa Shouko got cast as Nymphia, a new pokemon appearing in the short Pikachu and Its Eevee Friends. A footnote states that Ms. Nakagawa's recording session for Nymphia took about two hours (p136). She also reveals that she records the dialogue for the trailers and the talking stuffed animals before recording the actual short itself (p137). 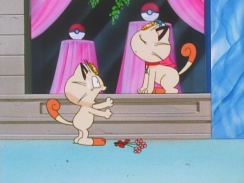 She talks about this one scene in the Pikachu short where Nymphia is letting out an attack and its mouth remains open for a really long time, which in turn meant that Ms. Nakagawa had to let out a long scream without taking any breaths. In order to get ready for this scene, she says, she would take a bath every night and practice holding her breath underwater. This built her lungs up so much that when the time came to record the actual scene she was able to do the scene in question in only one take. These chapters of Shokotan's life is broken up by various sections devoted to differing parts of the franchise. "A Look at the History of the Video Games" (ゲームソフト歴代一覧表) is exactly what it sounds like - an eight page summary at all of the games in the main series (no spin-offs), starting with Pocket Monsters Red & Green. The games' release dates and brief descriptions of what each entry brought to the series are given, but there isn't really anything here that any of us wouldn't know already. The only thing of interest is a blurb under the entry for Pocket Monsters Blue that states that the game was originally going to remain an exclusive to CoroCoro Comics readers but that consumer demand was so high that they eventually decided to release it as a full retail title. "Shokotan Chooses the Best Five Episodes of the TV Series" (しょこたんが選ぶアニメ名作 BEST 5) is a three page feature that details Ms. Nakagawa's five favorite episodes. She had already talked about these episodes in the 1997 chapter but repeats the information here in a more formal, episode guide-type style. Her top five episodes, by the way? "Nyasu's A E I O U"
"The Valley of Lizardon! Until the Day We Meet Again!!" A predictable set of episodes, but at the same time I can't argue with any of them. 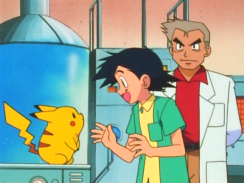 The "Pokemon TV Cartoon History" (ポケモンテレビアニメ・ヒストリー) gives a brief overview of each of the different TV series. Pocket Monsters Best Wishes! and Pocket Monsters Best Wishes! Season 2 are given two different entries, for some reason. "A Day on the Set of Pokemon Smash! with Director Shokotan!" (しょこたん部長 「ポケモンスマッシュ！」 １日収録追っかけルポ) does exactly what the title says; it serves as a diary of what goes on during the once-a-month Pokemon Smash! recording sessions. Ms. Nakagawa arrives at around 10:30am and goes into hair and make-up, and filming ends at around 9:00pm. This section of the book contains a lot of on-the-set photos and is a pretty fascinating look at what all goes into the creation of the program. One part that cracked me up is this picture of the cue cards they use because a) everyone's lines are handwritten on a sketch pad in the most ridiculously low-tech way possible, and b) the cue cards actually tell the actors when to react. So all those "Ooh! "s and "Oh! "s and "Eh!?!? "s are scripted. At the end of the section, Ms. Nakagawa states that she loves these recording days and that "I laugh until I cry every time." "A Direct Interview with Mr. Ishihara Tsunekazu About the Future of Pokemon!" The book concludes with an interview Ms. Nakagawa held with Mr. Ishihara Tsunekazu, the president and CEO of The Pokémon Company. The interview doesn't actually reveal that much and focuses more on the past of the franchise than its future, but there are still a few interesting tidbits here and there. Mr. Tsunekazu reveals that, during the debugging process of the original Red & Green, the game was set up so that you would have to battle a Trainer every time you walked past them regardless of whether or not you had already defeated them once before. Because of this, he said, it would take about an hour to pass through a simple four-screen forest because you would keep triggering Trainer battles. He also reveals that the wild pokemon encounter rate was so high that you'd go into battle every two steps and that because of this it would have literally taken players half a day just to get through a single cave. They decided to adjust things to a more reasonable level (p155). As for the future, Mr. Tsunekazu wants to expand the franchise to even more countries. Pocket Monsters is only available in a single region in Africa, for example, and he would like to make it so that other areas on the continent can enjoy the franchise as well (p159). He concludes the interview by saying that the various gatherings of international fans - things like the World Championships, where players of both the video games and trading card games come from all over the world - show how people can overcome language barriers and communicate because they're all in love with the same thing (p159). 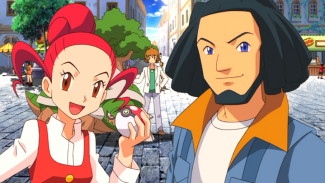 "Communication" is one of the big themes of Pokemon and is something Mr. Tsunekazu hopes people will continue to do as they enjoy the world of Pokemon. The book is a candid and fascinating look at a woman who's become one of the faces of the Pocket Monsters franchise. The 176 page book has a lot packed into it but is, at the same time, light enough that anyone with an advance level of Japanese can breeze through fairly quickly. The language barrier is a very real issue with this book, unfortunately, but the picture galleries - and there are a lot of them - may be worth it for some fans.